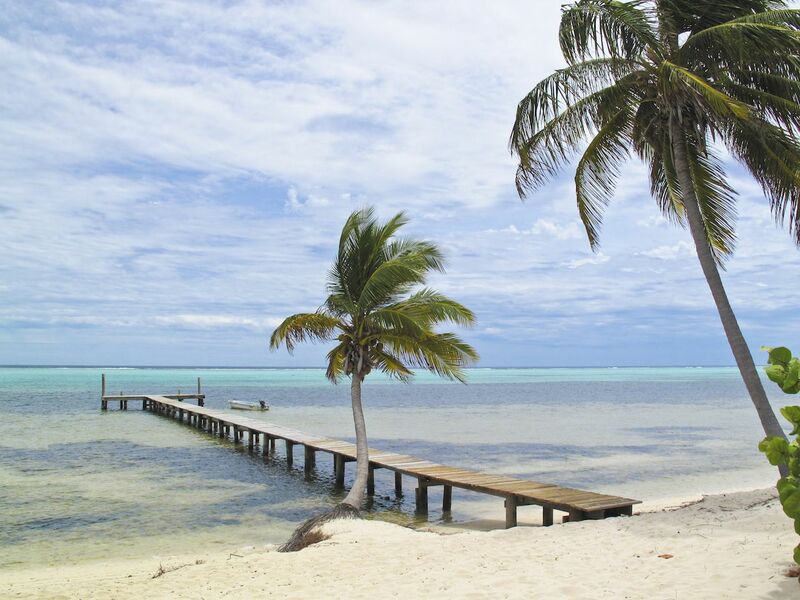 Even though the chill of winter hasn’t quite bitten your nose yet, by about mid-November, chances are you’ll be dreaming about a soft sandy beach somewhere in the Caribbean. Maybe with a volcano in the background, maybe with some dolphins jumping in front of you. It’s your fantasy. Get as creative as you want. What you probably don’t picture is a cruise ship full of tourists and an Airbus full of speedo-sporting Europeans sharing said beach with you. Which is the unfortunate reality on many a Caribbean cove. But there are a lot of beaches across these islands, and if you talk to some locals or people who go there frequently, you’ll learn about some spectacularly secluded spots where your private beach dreams can come true. Best of all, they’re all open to the public. 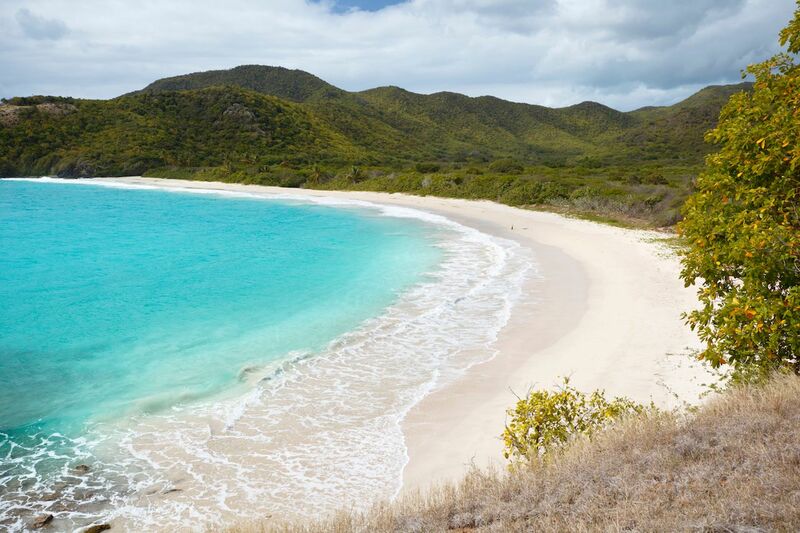 Here are 15 beaches in the Caribbean where you’ll find plenty of scenery and not many people. Often times in Jamaica, accessing the rich white sands of a resort beach involves staying at said resort, which means either sharing it with 600 other all-inclusive aficionados or spending a ton of cash to stay somewhere “exclusive.” But the Blue Bay Villas have a shady stretch of sand where you’ll only find a smattering of the hotel’s guests and maybe a few locals up the shore on weekends. 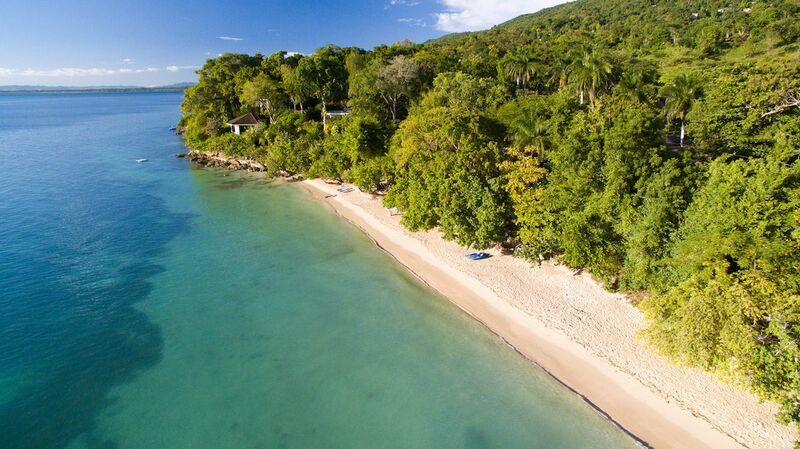 It’s the picture of Jamaican relaxation with mangroves stretching out across a narrow stretch of sand and a perfect beach to hit when pool chairs at your resort are at a premium. Great secluded beaches aren’t always just there for the taking. Sometimes you’ve gotta work to get there. This spectacular spot comes at the end of a half-hour walk where you’ll park your car off the road at a riding stable, walk up a hill, turn at a white house, and then descend down to the bay. Once there, you’ll rarely find any other souls hearty enough to work so hard at finding a beach on an island with 365 of them. So you can take “rendezvous” to mean whatever you want. 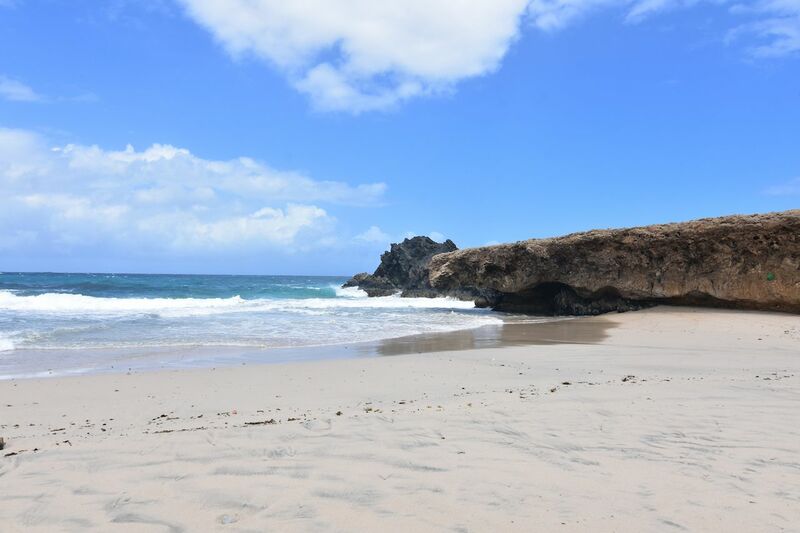 Grenada definitely gets its due when it comes to spectacular beaches, but for most visitors, that means spending their vacation at Grand Anse and Magazine Beach. If you’re willing to take a short walk off the main road, though, you’ll find an almost-empty beach with palm trees reaching out over the sand, perfect for a shady afternoon nap. If the sun gets too much, La Sagesse has a nature center with a calming tropical garden where you can take a stroll before heading back to your car. 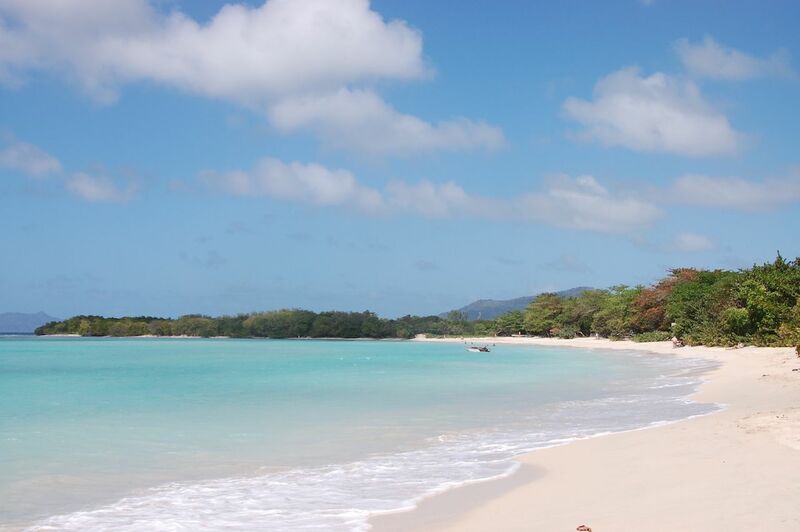 The seven-mile-long island of Carriacou is rarely what one might describe as “crowded,” but if you can make it out here from Grenada, Paradise Beach is the stretch to hit. You’ll hardly find anyone on weekdays, yet it still has a few small bars and a local craft shop if you need some minimal human contact. Paradise Beach is also the prime jumping off point to Sandy Island, and if you can find a local to ferry you over, you’ll find a strip of beach just offshore with absolutely nobody else around. Once upon a time, most of the beaches near Bavaro in Punta Cana were secluded. 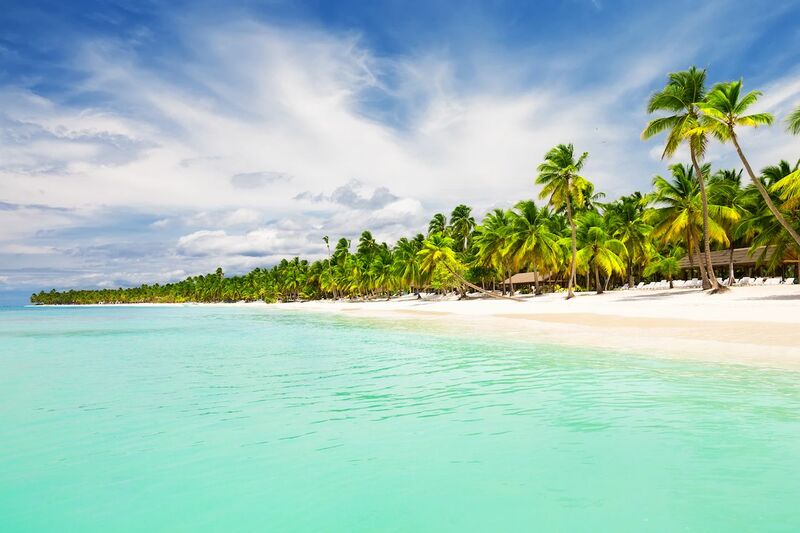 But times have changed, and now if you’re staying in the Dominican Republic’s Punta Cana and want an escape the masses, you’ll need to head out among the coconut plantations to this secluded spot along the Costa del Coco. There isn’t much here aside from coconut trees, white sand, and turquoise water, though there is a path behind the beach that’ll take you to the equally empty Playa del Muerte, Playa Nisibon, and Playa Esmeralda. Though pretty much anywhere in the Turks and Caicos is gonna offer the most beautiful water in the Caribbean, most visitors don’t see much of it past Grace Bay or the cruise port in Grand Turk. 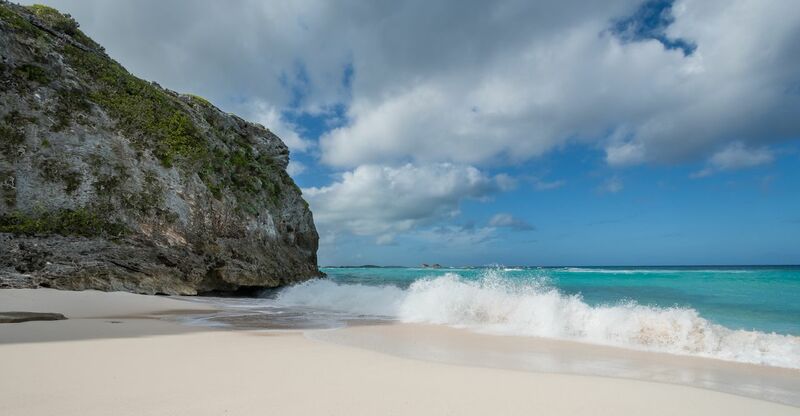 But if you’ve got some time, hop on a boat out to Middle Caicos and spend the afternoon on this gleaming white shore, where the shallow sandbar leads out to Dragon Cay and the beach is surrounded by stark limestone cliffs. 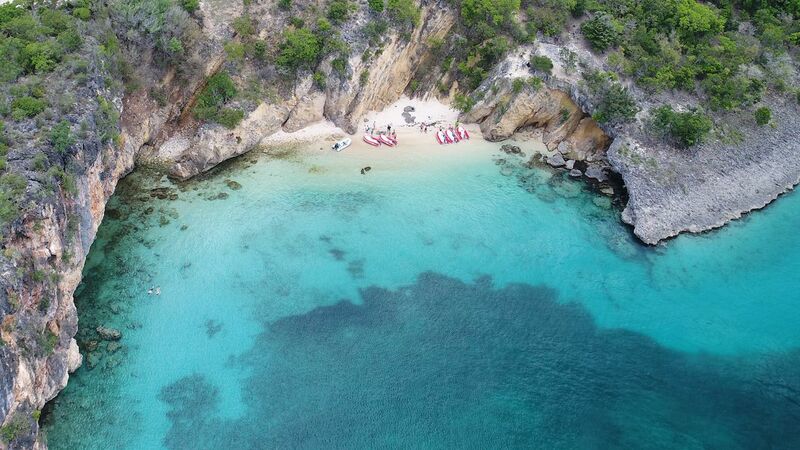 A short boat ride from the bustling, luxurious French side of St. Martin sits this calming oasis, which translates to “flat island.” Because it’s not easy to reach, you won’t ever find more than a handful of people lounging under the small cliffs where the golden sand leads into warm, shallow water. And some stretches of the beach offer views back to the main island and all its volcanic wonder. Aruba might be the most divisive island in the Caribbean, a place people either fall in love with or never go back to. If you’re into the desert-ocean juxtaposition of the One Happy Island, no place does it better than this secluded beach, essentially an offshoot of Arikok National Park. Here, you’ll wander over desert rockscapes down to the crashing coastline, enjoying the hot, dry wind as waves crash against fascinating rock formations and hidden coves. 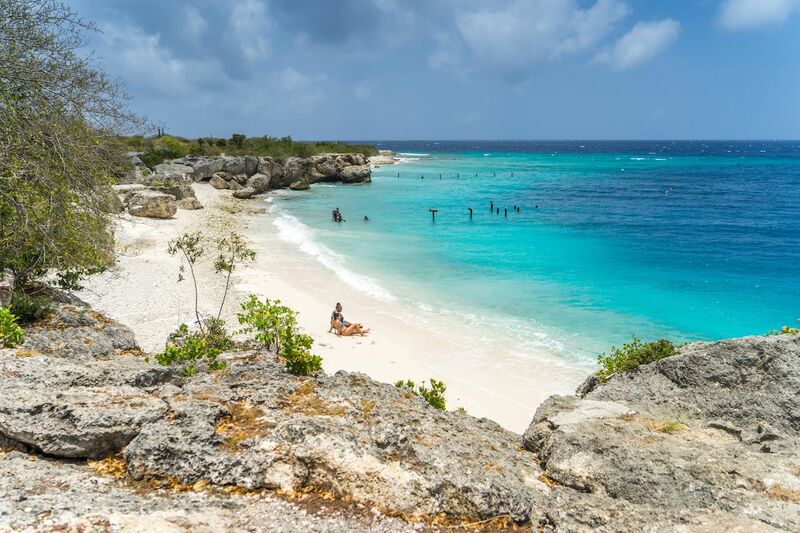 People know that in theory there are multiple Cayman Islands, but you’d be hard pressed to find many who’ve been anywhere other than Grand Cayman. But a short hop on Cayman Airways brings you to one of the two other Cayman Islands, where you’ll only find 150 residents and a couple of dive shops. 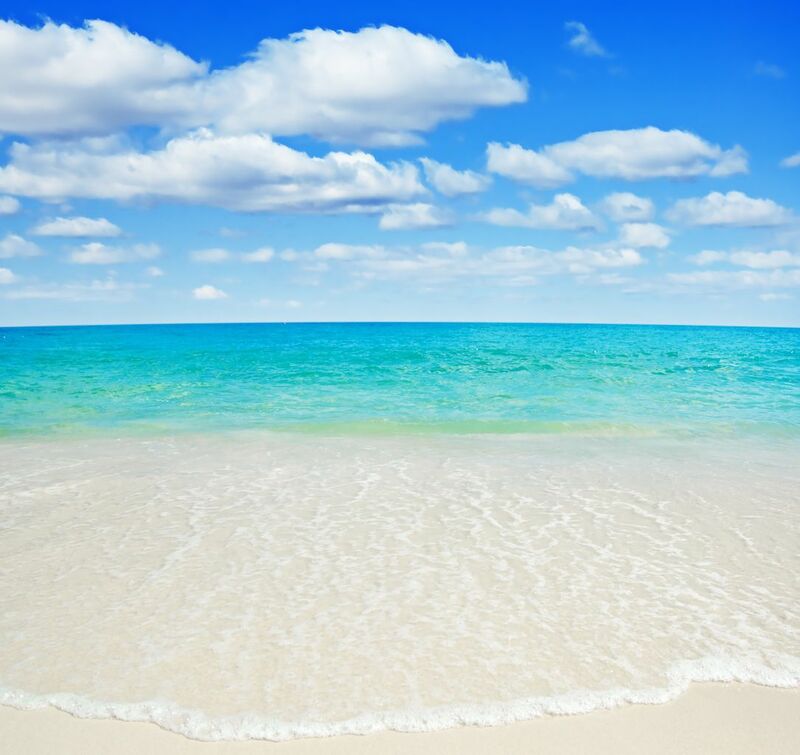 The beaches are the same perfect sand and Caribbean-clear water as Seven Mile Beach and other spots on Grand Cayman, with maybe one-hundredth of the people. And for divers, it’s a chance to get in the water without 100 other boats surrounding your site. Little Bay feels like the secret beach you and your sixth-grade friends knew about and hiked to every day during summer break. Getting here involves descending a rope down a cliff, where you drop into a secluded azure bay surrounded by golden cliffs. 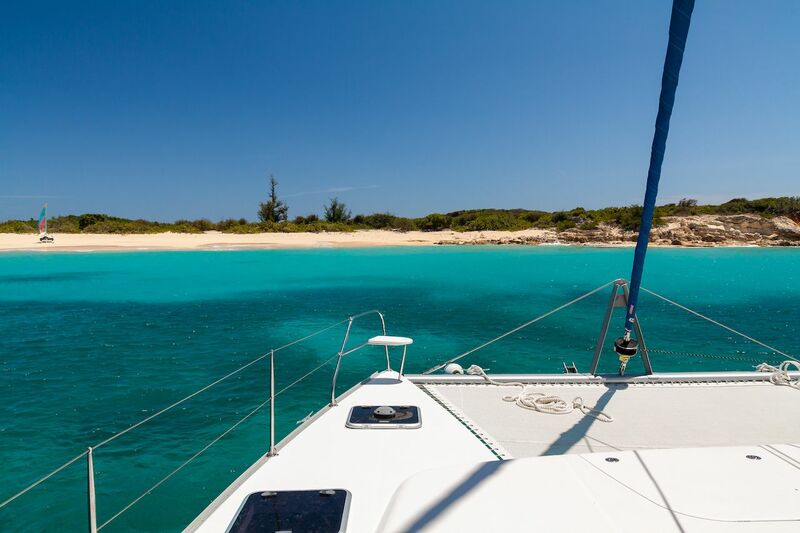 If that sounds a little too adventurous for you, charter boats to Little Bay are also available. And you’re still welcome to climb the rope if you want to relive the old days. Pretty much any beach on Anegada in the British Virgin Islands is going to be blissfully secluded as the island sits about 75 minutes by ferry from Virgin Gorda and doesn’t get a lot of visitors. The best among them is Loblolly Bay, which despite multiple appearances on world’s best beaches lists is rarely full of people. What it is full of is unspoiled sand with hammocks and sun shelters, plus a 360-degree lookout tower and a 50-foot walk out into the ocean. If you came to Curacao to dive, you’d be shocked to hear Directors Bay used in the same sentence as “undiscovered.” But about 50 feet from one of the island’s top dives is this sunset-perfect spot, which was once a private beach for friends of the Shell Oil company. Now it’s a cove-like enclave surrounded by limestone cliffs, adorned with bleach-white coral stones and ombre blue waters. And just offshore, snorkelers can spot seahorses, octopuses, eels, flounders, and brightly colored sponges. While cruise passengers to Tortola nearly all congregate at Cane Garden and yachtsmen prefer the shores of Jost Van Dyk, Brewer’s Bay is every bit the white-sand-at-the-base-of-a-green-mountain beach one associates with the British Virgin Islands. 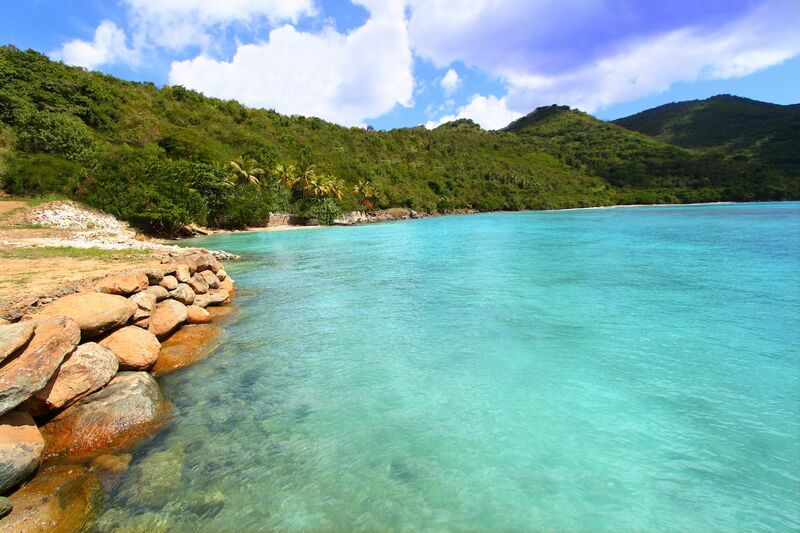 Set along Tortola’s northwest coast, Brewers Bay is a popular snorkeling spot with water clearer than you’ll find in busier parts of the island. Even if you’re not snorkeling, you’ll rarely find a crowd here, and the bars, restaurants, and distillery near the beach make for a relaxing way to spend time before and after your time on the sand. 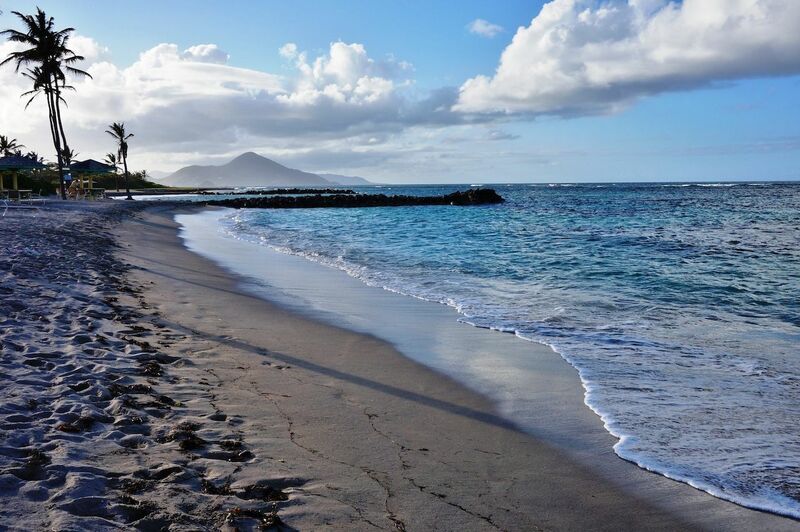 The view from Nisbet Beach is one of the best in the Caribbean with the green mountains of St. Kitts sitting just across the aqua blue channel from the shoreline. Nevis Peak towers directly behind the beach, and along the water you’ll find little shallow coves and jetties for swimming. 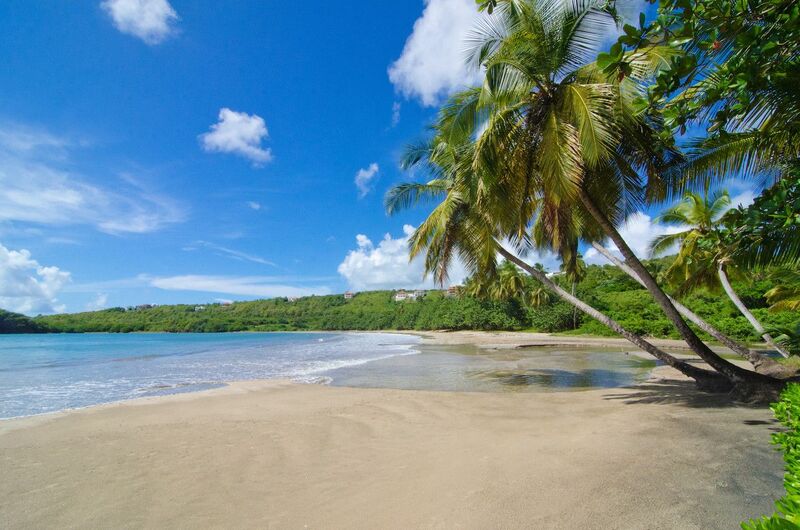 Part of the beach goes through the Nevis’s Nisbet Plantation, where a public beach bar and hammocks make for the perfect place to enjoy the view. Though the images of Barbuda immediately after Hurricane Irma are hard to forget, the beaches here have cleaned up nicely a year later, and you can get tour operators in Antigua to take you out here pretty easily. 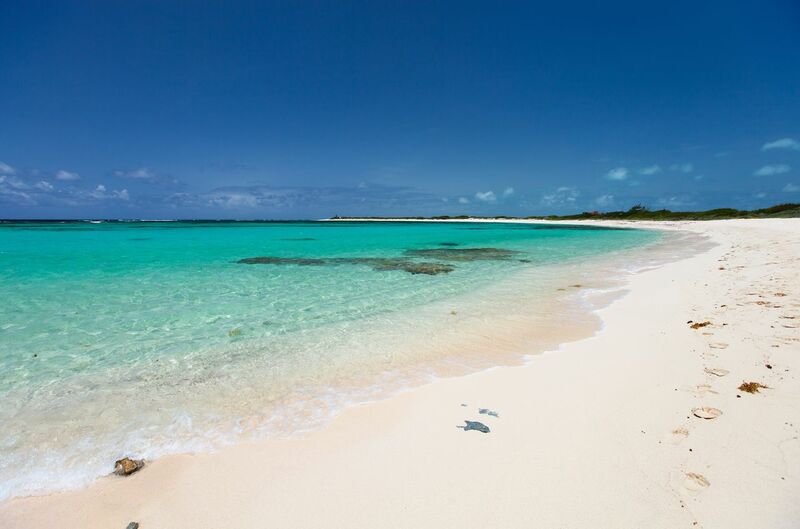 The beach is named after the late princess, who called it one of her favorite beaches in the Caribbean.